University of Westminster Press, 9781911534365, 206pp. The United States presents the greatest source of global geo-political violence and instability. Guided by the radical political economy tradition, this book offers an analysis of the USA's historical impulse to weaponize communication technologies. Scott Timcke explores the foundations of this impulse and how the militarization of digital society creates structural injustices and social inequalities. He analyses how new digital communication technologies support American paramountcy and conditions for worldwide capital accumulation. 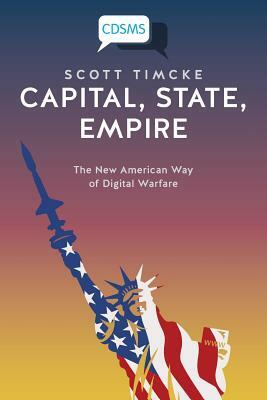 Identifying selected features of contemporary American society, Capital, State, Empire undertakes a materialist critique of this digital society and of the New American Way of War. At the same time it demonstrates how the American security state represses activists--such as Black Lives Matter--who resist this emerging security leviathan. The book also critiques the digital positivism behind the algorithmic regulation used to control labour and further diminish prospects for human fl ourishing for the '99%'. Capital, State, Empire contributes to a broader understanding of the dynamics of global capitalism and political power in the early 21st century.